Ant Control Bethelsdorp » Tel: 0828105617 » Port Elizabeth The Port Elizabeth Pest Control Experts! Hello and thank you for visiting Bethelsdorp Pest Control, ants are just some of the pests we have to deal with here in Bethelsdorp on a daily basis. Whether they push dirt up from your pavings or attack your stored food products in your kitchen cupboards we have a quick and simple solution for all you ant control needs here in Bethelsdorp. We deal with ant control in Bethelsdorp and all surrounding areas, our staff are friendly cooperative and will treat your ants with the best most practical solution to ensure the least disruption for our clients. 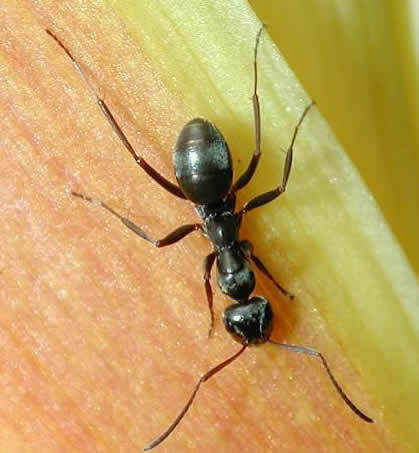 Here in Bethelsdorp the most common ant species that Bethelsdorp Pest Control deal with are the garden ant, sugar ant also known as the black ant. These insects are more of a nuisance than anything else as they contaminate food stuffs, excavate in the corners of your home and garden making a mess all over you clean floors. And even attack animal food leaving an acidic substance behind that repels your pet from its food. Bethelsdorp Pest Control is your solution for all your ant control in and around Bethelsdorp. Call us now and one of our staff member will arrange an ant control program in your home or office space. Our treatments are all integrated and cost effective, while we are treating your home we can give you helpful hints and tips to aid in effective ant control in your Bethelsdorp home.